Home theater sound from just two-speaker systems. 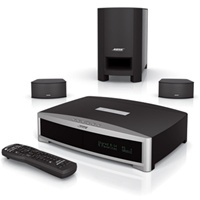 The Bose� 3�2�1� systems include a DVD/CD player and the option of digital music storage. 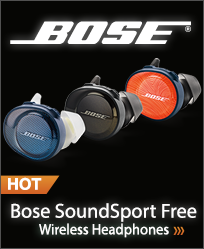 The Bose� CineMate� systems deliver the full audio potential from your HDTV and components. Premium surround sound performance from five-speaker systems. 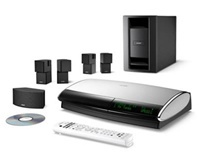 Choose a complete system with a DVD/CD player. Or add your own Blu-ray Disc� or other high-definition components to the system.